Some people are always grumbling . . .
Insurance InformationWhile we are not contracted with any insurance panels, many health insurance policies still cover our services. If you would like to use your health insurance benefit, please contact your insurance provider and ask about your “out-of-network mental health benefits.” It is our policy to have you pay for your session each time we meet. 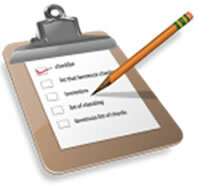 We can then provide you with paperwork to submit to your insurance provider to receive any reimbursement due to you. Our paperwork takes approximately 10-15 minutes to complete. When we schedule your first session, we can discuss if you would like to have forms sent to you via e-mail, or if you would prefer to arrive a few minutes early to your first appointment to complete the forms on site.